Welcoming a new baby into the world is one of the sweetest things in life! 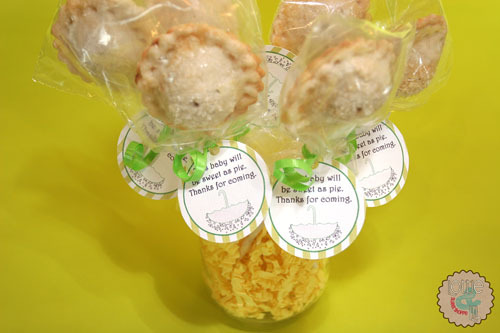 It is only fitting to have a sweet treat to offer your guests at the baby shower. 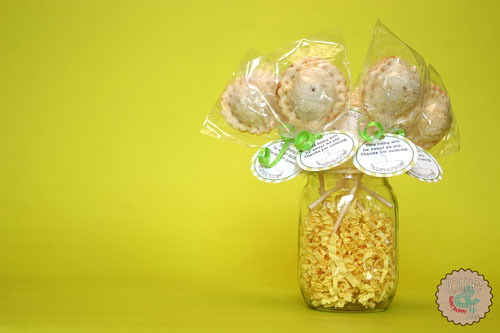 Send each guest home with their own pie pop complete with custom tag to not only thank them for attending but to tide them over until the sweet little baby arrives! This entry was posted on Monday, August 20th, 2012 at 6:11 am	and is filed under Baby Shower Pops.